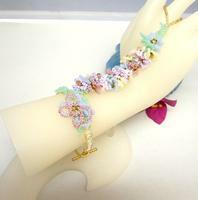 In this pastel ring bracelet, a tumble of beaded flowers and leaves trips across the back of your hand. 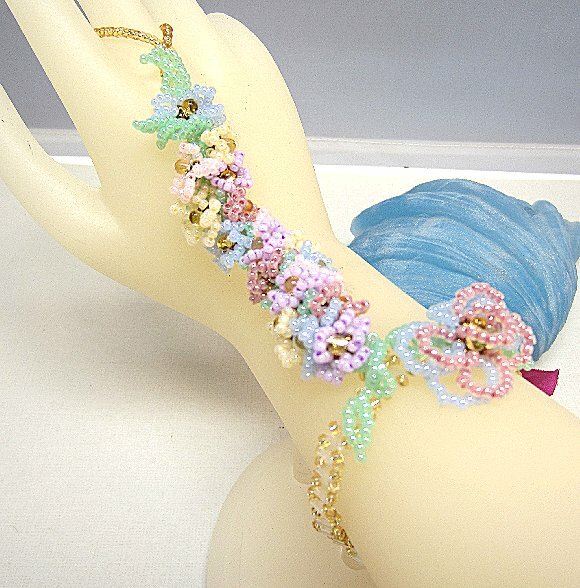 There's also a lattice of seed and bugle beads to circle your wrist. The hand beaded ring bracelet closes comfortably with a gold plated toggle clasp. It's an incredibly feminine and exotic piece of jewelry! 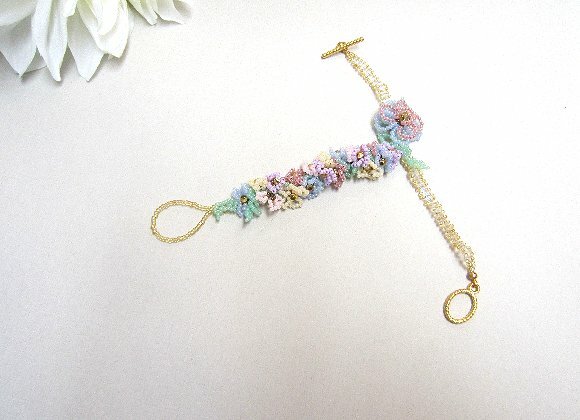 This intricate flowering ring bracelet is brought to you by SPARKLE PLENTY, of course.